The LEAP Center is once again taking the field for a good cause. 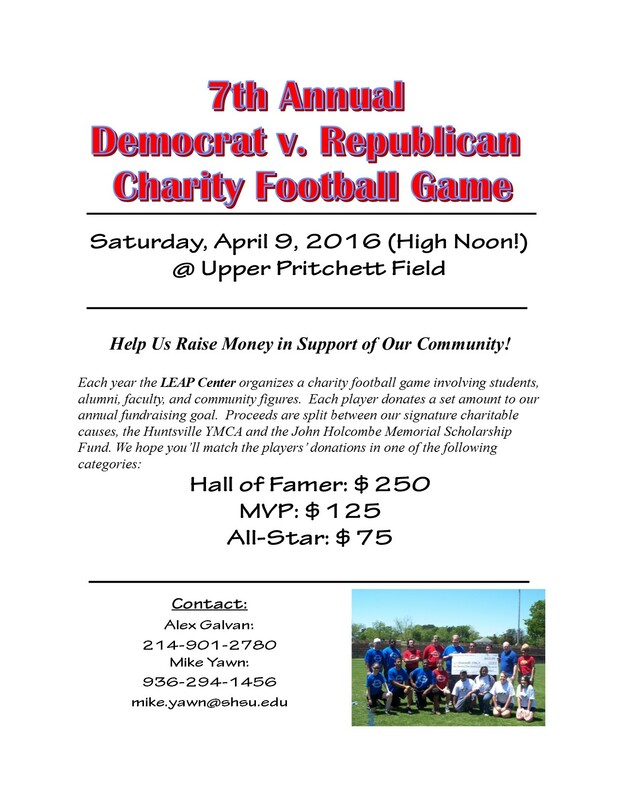 On Saturday, April 9, 2016, Democrats and Republicans will compete in a football game to raise funds for the John Holcombe Scholarship and program scholarships for the YMCA. The game will take place at Upper Pritchett Field and the public is invited. This is the seventh time the LEAP Ambassadors (formerly the Junior Fellows) will take on the bipartisan effort to raise funds for local youth. In previous years, the organization has raised approximately $24,000. Already, the players have donated $1,650 themselves this year, and are now in the process of seeking matches from communities businesses, organizations, and individuals. Of course, donations of any amount are accepted, and every bit helps a young person excel educationally. Young people should also have fun at the game. 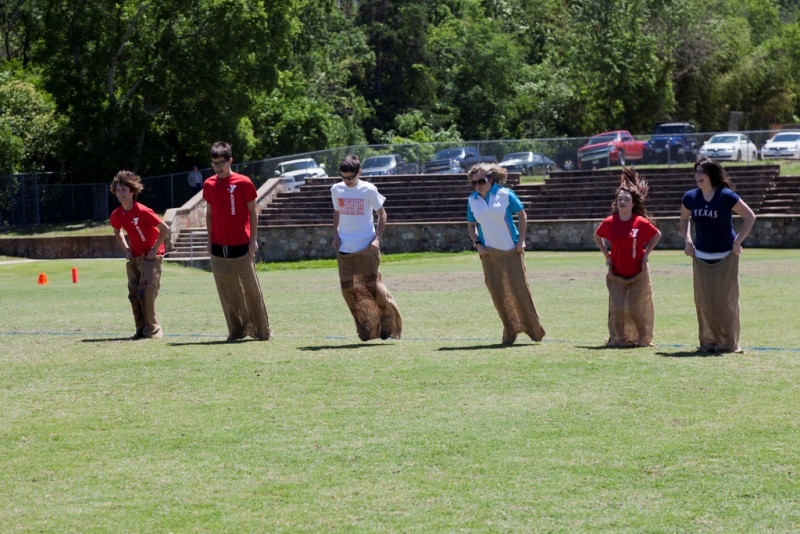 The half-time festivities will include an egg toss, sack races, a frisbee toss, and other fun games. For more information about the game, contact Mike Yawn at 936-294-1456.